Hake is the star of many sauteed and oven-baked dishes, but this meaty fish also stands up well to the rigors of grilling. Similar to cod, hake is low in mercury and provides plenty of lean protein. As a bonus, the relatively small demand for this fish keeps its prices down. 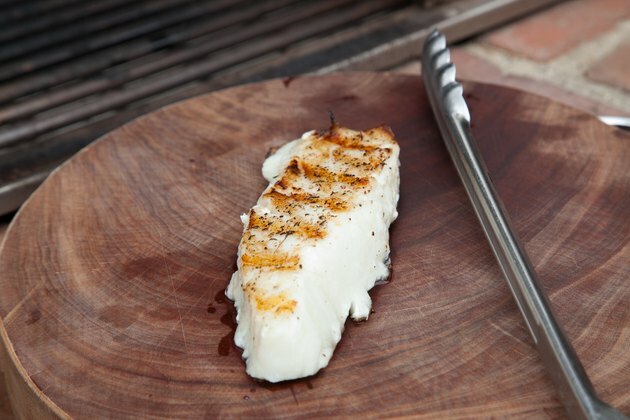 Hake's flaky white flesh features a mild natural flavor that supports a range of seasonings and accompaniments. After a few minutes over an open flame, you've got a crispy-skinned, flavorful meal. 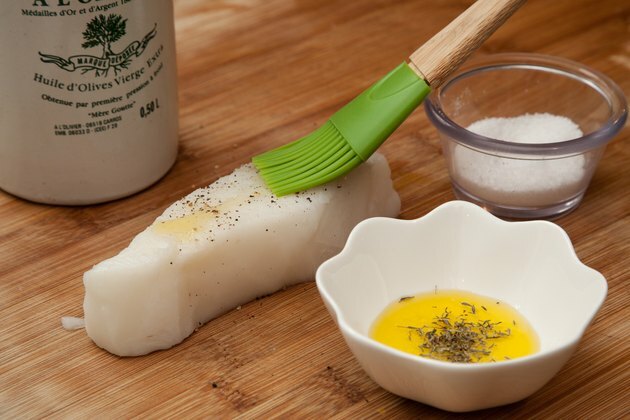 Thaw frozen hake fillets before grilling them so they cook quickly and evenly. The best way is to put them in the fridge the day before. If you're making them same-day, submerse them in cold water in a resealable bag or covered bowl for about 45 minutes to an hour. Replace the water with new, colder water halfway through to keep the fish below 40 degrees Fahrenheit and prevent rapid bacterial growth. Preheat the grill on high. Once it's hot, vigorously scrape the grill clean. 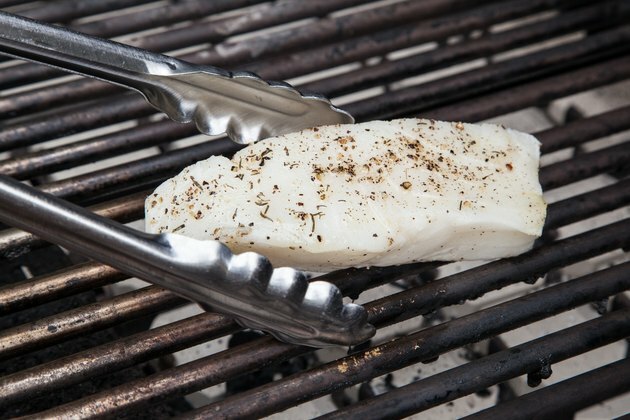 A clean grill is key to preventing sticking, which can easily ruin a fish filet. 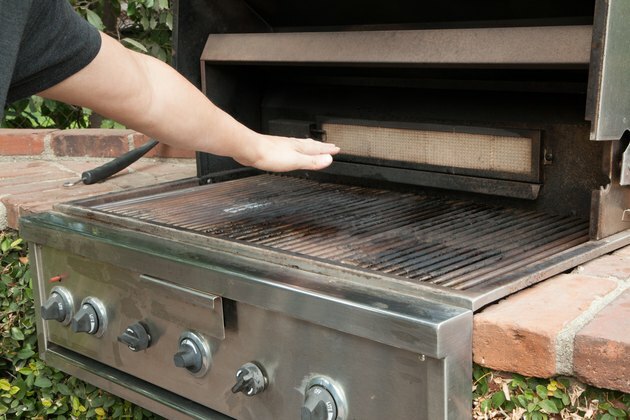 After a thorough cleaning, grease the grill with a clean cloth or paper towels soaked in cooking oil. Pat the hake dry with paper towels. Drizzle cooking oil or melted unsalted butter over both sides of the fillets. Season the fish with salt and pepper to taste, as well as any other desired flavoring agents. Try Cajun or blackening seasoning for some kick and color, or pat on lemon zest and dill or rosemary and garlic powder. 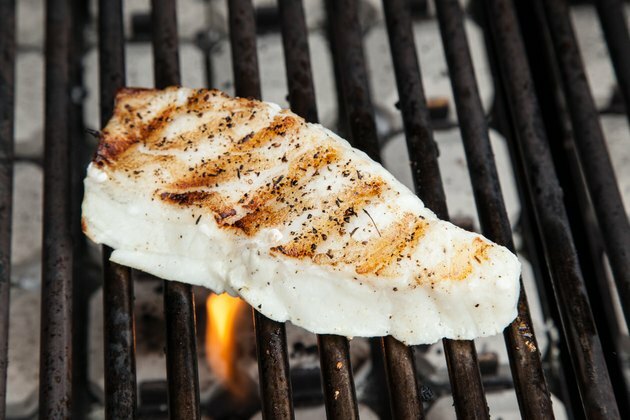 Place the hake on the grill over direct heat, skin side up if your fillets have skin. Cook it for 2 to 3 minutes, until the grill marks are nicely seared into the flesh. Turn it with a broad spatula with a tapered tip. Slowly nudge the tip under the fish; if it resists, it probably needs to cook a little longer. Grill the second side of the hake for another 2 to 3 minutes. Press into the center of a fillet with the side of a fork. If the hake's meat is opaque all the way through and it flakes apart easily, it's done. Take it off the grill quickly with the spatula to prevent overcooking it. If your hake appears to be flaking apart when you try to flip it, use a flexible turner or a second spatula to support it from both sides. Fish should be cooked to an internal temperature of 145 F when tested with an instant-read thermometer. 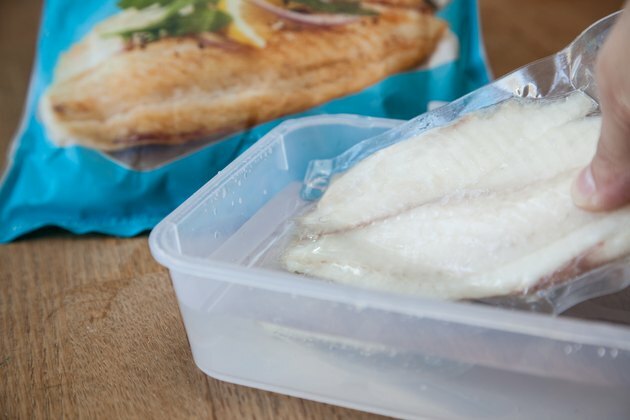 Never leave fish out at room temperature longer than 2 hours. If the ambient temperature is higher than 90 F, don't leave it out longer than 1 hour. Store fish below 40 F.